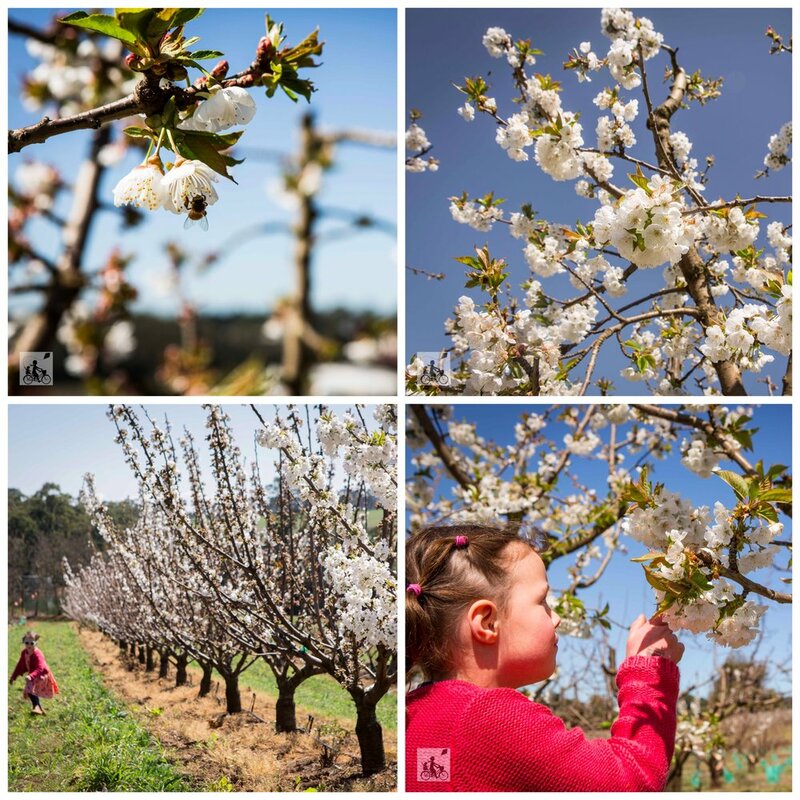 Today we went for the opening day celebrations of the Blossom Festival at CherryHill Orchard in Wandin East. 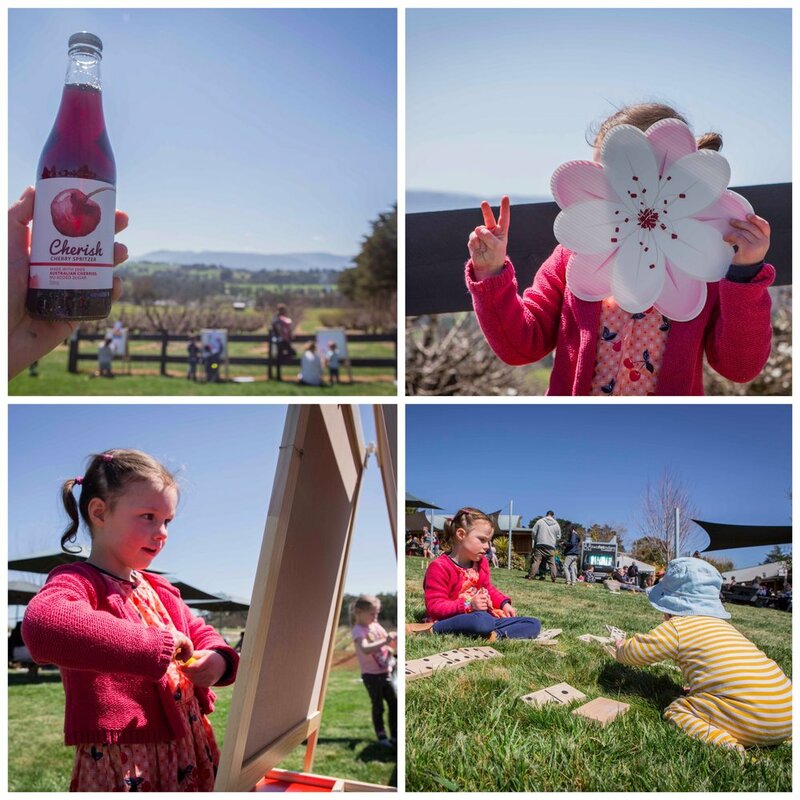 The orchards are embracing this beautiful time of year over the school holidays and Grand Final weekend and you are all invited to join in on the fun! 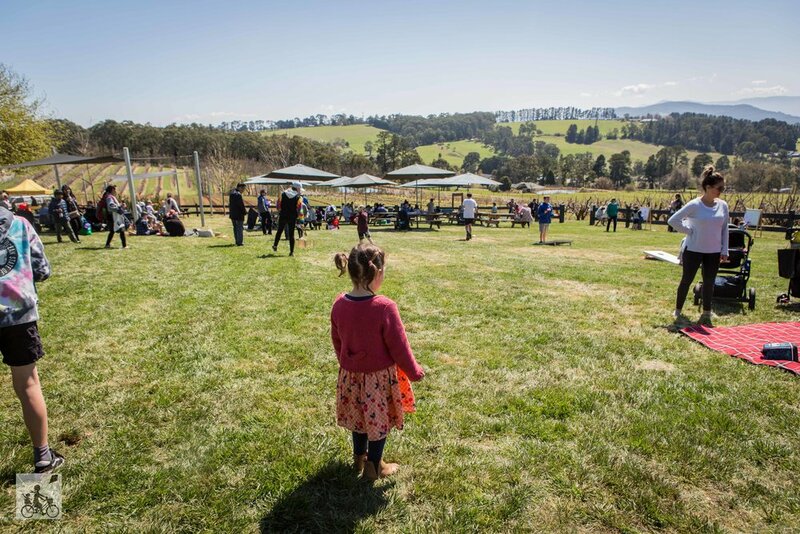 There is plenty to do with the entire family including stacks of photo opportunities amongst the rows of cherry blossom and in front of the spectacular views of the Yarra Valley. The blossoms today were not in abundance, but with the beautiful sunshine today and more forecast for tomorrow, the trees will be blooming before your very eyes. There was plenty of tucker from the farm gate cafe and food trucks on site so you can get your fix of cherry flavours. We can't go past the cherry ice-cream - with a cherry on top - of course! Kids will not just be entertained by the free face painting, live music and lawn games, but also learn a thing or to about bees in the Busy Bee workshops ($5 per person). These are set to be interactive sessions where kids will learn the ins and outs of bees, and why they are so important in our ecosystems. Oh and grab a stack of paint brushes for $1.50 at the gate and the kids can paint their own masterpiece. Mamma’s special mention: If you can't make it to CherryHill this season, mark it in your calendar around mid November when the trees are set to be filled to the brim with juicy red cherries. The U-Pick sessions are brilliant and on Mamma's must do list for summer! SEASON EXTENDED FOR THIS WEEKEND! October 6 & 7! Book ONLINE here BEFORE THEY SELL OUT! Adults $10.00, children aged 4-13 years $5.00. Every adult and child entry includes a free bottle of Cherryhill’s delicious Cherish Spritzer.